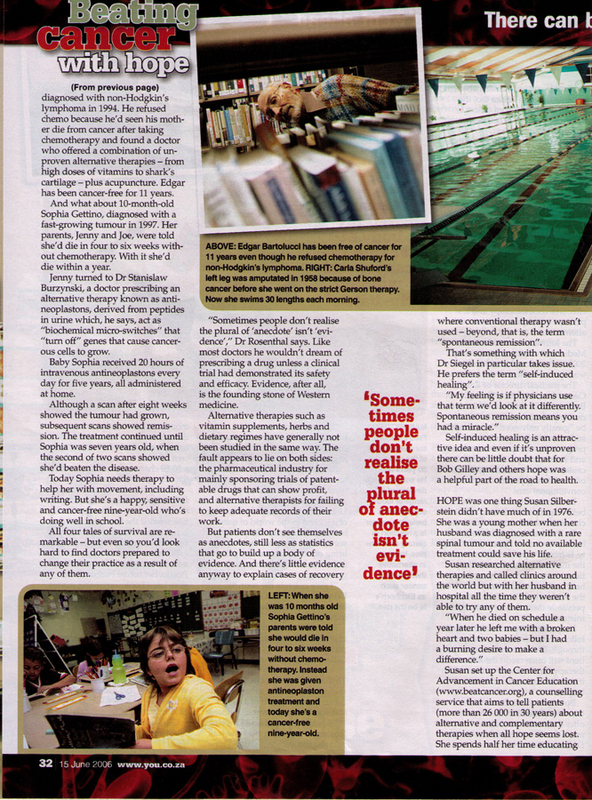 The following is a copy of a magazine article of my work. 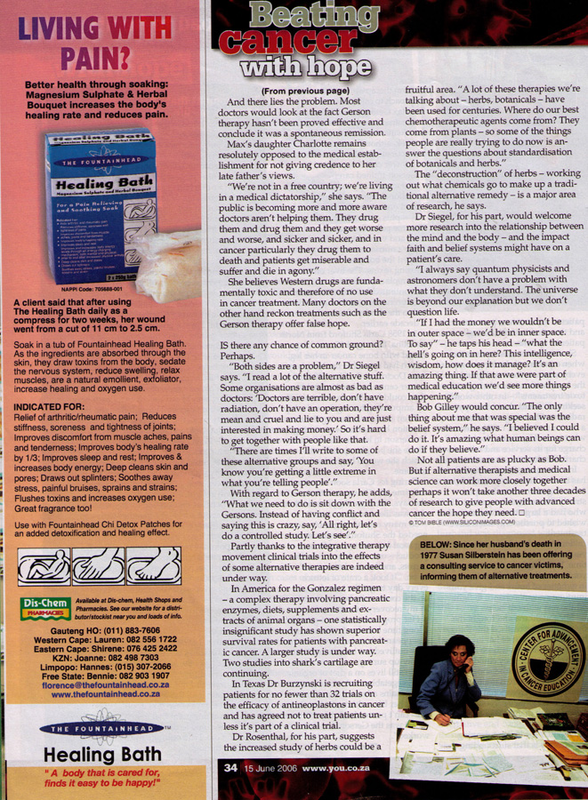 I thought that you would like to see the article. The article is from a publication in South Africa, published June 15, 2006, written by Tom, a photojournalist who was dying at age 38 of a huge brain tumor 5 years earlier, he found me after his surgery and believed in my work. 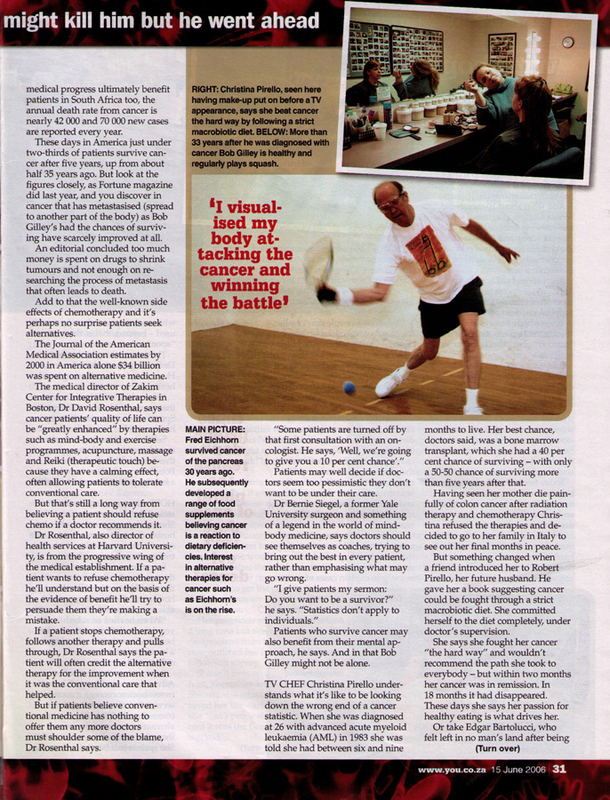 The article includes many stories of various people, however, the focus of the story is a huge picture of me in the lab. The next page has a caption indication who I am and a snippet of my work. It was done very nicely. Just that picture and snippet caused a huge flow of emails. There may be other information about me because of the detail of in the E-mails we received. I will need to read the article in detail later. As a result of Tom's story, there are many other European Publications who are considering it as well. Below is Tom's note. Tom deserves a lot of credit and admiration for how he spent the time, energy and foresight to put this together very tastefully and with respect towards all. Tom is a great man. I hope that you’re all well and enjoying life. 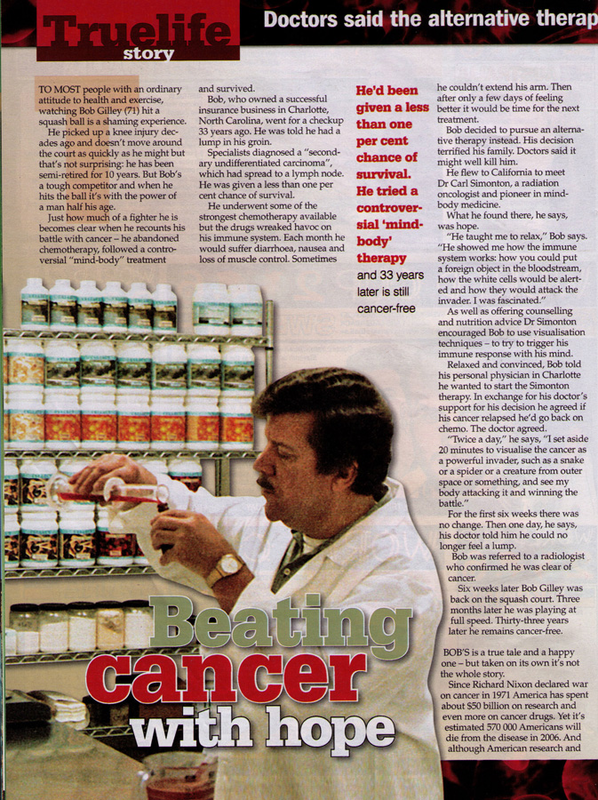 Just to let you know that You and Huisegnoot magazine (a family magazine with largest circulation in South Africa) ran the ‘beating cancer with hope’ story last week… I’ve attached a copy of the article in PDF format. The story is also being considered by a number of European publications and I will let you know if it is picked by anybody else. Many thanks again for your participation in the story….